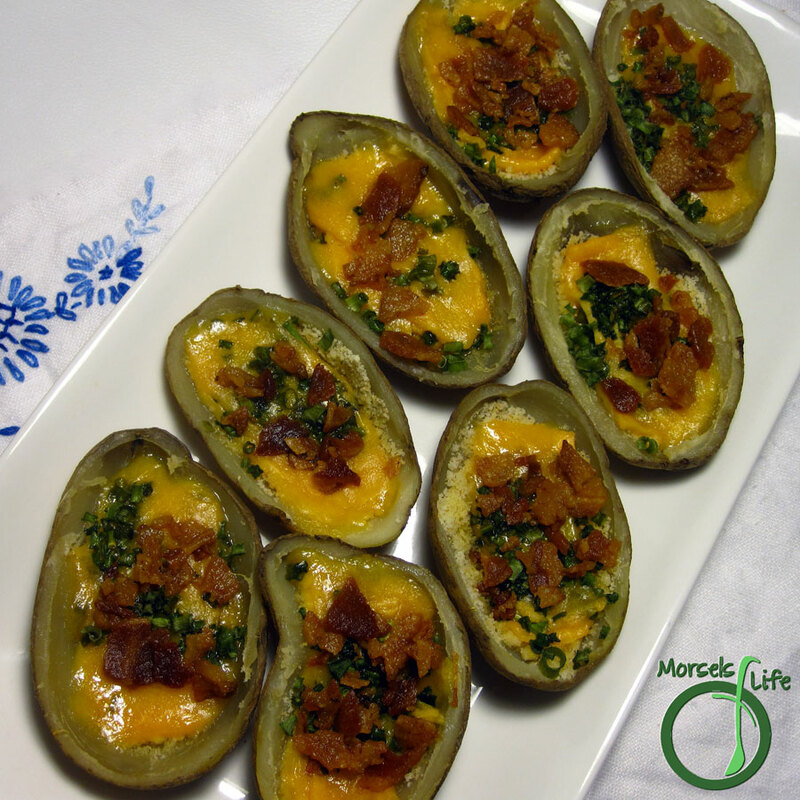 Melty cheesy goodness topped with green onions and crumbled bacon in a potato skin. Tater skins, they're yet another food sitting on my "to make" list for way too long. Usually, I mash the skins along with the potatoes when I make mashed potatoes. This time, however, I left them out since I wanted to use the mashed potatoes in the Chicken Pot Shepherd's Pie. Since I'd have the skins, I figured I could cross one more food off my "to make" list. I first encountered Potato Skins in high school at a friend's house. Can you believe I'd never even heard of them before? Cheesy goodness with bacon and green onions - how can you resist? 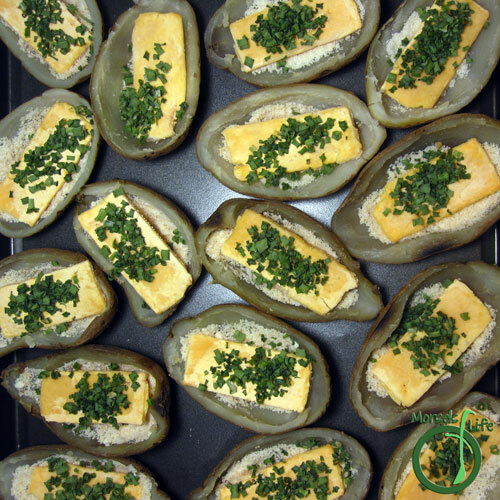 Plus, since all the fillings are contained, they're perfect as finger food or "on the go" food. Do you have any foods where you were the "last to know?" 2. 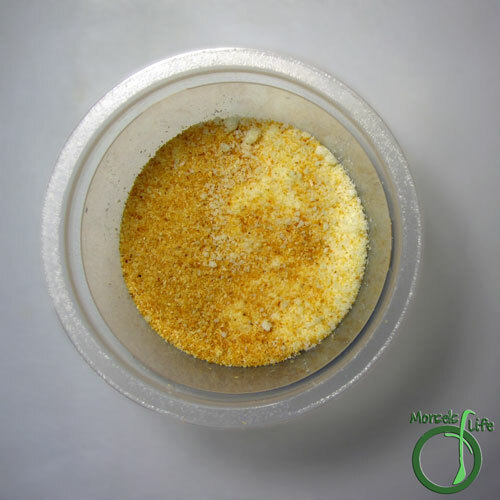 Mix together Parmesan and garlic powder. 3. 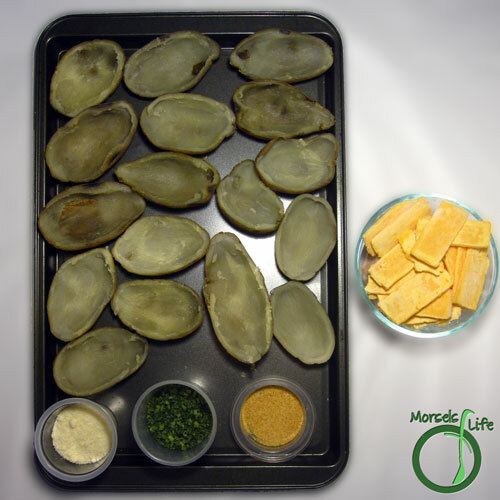 Place a bit of mixture into each potato skin. 4. Top with a slice of Cheddar, bacon, and some green onions. Bake at 400F for 5 minutes. Another great yet simple recipe! Those are the best, if you ask me. :) Simple and tasty's always a win if you ask me! 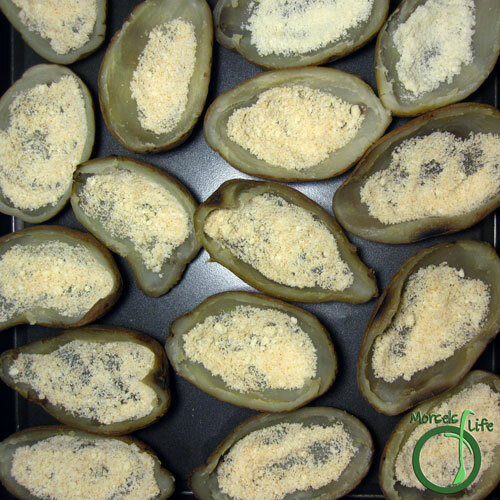 These potato skins look absolutely delish! Thanks for sharing your recipe at the Over the Moon Link Party.